It appears as if HP is ready to take the next big step towards being a more viable competitor in the consumer tablet market. Today, HP announced the hiring of ex-Nokia executive vice president Alberto Torres to head up a newly created Mobility division at the company. In a memo from HP's Todd Bradley, it was revealed Torres, who formerly headed up the MeeGo product line at Nokia, was tabbed to be the man in charge of helping HP deliver "the best mobility solutions in the industry." 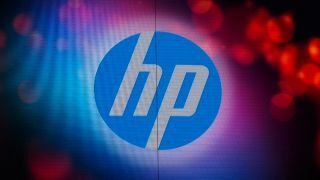 Though HP hopes its new Mobility Global Business Unit will be able to "expand to additional segments and categories where we believe we can offer differentiated value to our customers," the division will first be tasked with focusing on consumer tablets. There have been reports of HP working on a new Windows 8 tablet, including images "leaked" by HP themselves just a week ago. Many believe this yet-to-be-revealed tablet is the Slate 8, an x86-tablet with a 10.1-inch display uncovered earlier this year. Oddly enough, the memo from Bradley states Torres and the Mobility GBU will not be responsible for this upcoming tablet. Instead, control of that product will remain with the PC GBU, which is under the guidance of James Mouton. That said, when Torres starts in September, his first goal will apparently be to "accelerate [HP's] tablet strategy and begin to execute products." It's a bit confusing that HP would create a division to help focus their tablet plans, and then keep the upcoming tablet out of said division's hands, but HP seems to have a plan. We'll just have to see how it all shakes out.